Whether you believe it or not, I have finally found some time again to work on my websites! I just thought I need to get my days better organized so I can fit a bit of time in each day. So – early mornings it is for me at the moment! What I have started off with now is keep generating backlinks to my websites. Over the past 2 years all I had done was mainly build backlinks to the home pages, and do a few posts every few weeks or so. So some of my homepages have been on page 1 of the Google search results for my main keywords for a while, and I have seen some consistent search engine traffic from it. But there I was, thinking how much more traffic I could generate if I managed to get my other pages on page 1 as well, for their keywords! Luckily, I have been a subscriber for Backlink Builder for a while now, I just never did anything with them. Seriously, I was sitting on a Goldmine and just didn’t take the time to act on it. Well, when I finally decided to come out of my hiding a few weeks ago, that’s what I decided to do – go systematically through Backlink Builder and start building those all important backlinks to my inner pages, as well. Keyword Search Results Page Position No. D ?? not there ?? And then I started with my backlink campaign. Just went systematically through the files that you get with Backlink Builder, linking back to my inner pages with the keywords for those particular pages as anchor text. I made a point of writing down which anchor text I used on which site, and which page on my site I linked back to. For that I designed a very simple table which I fill out as I go along (otherwise you lose track). If you click on the image you can see it in original size. I created it on Open Office. Can you see the huge jump in those keywords? It’s nearly unbelievable. I find this just amazing. Now, some of the rankings still jump around a little, but I am quite positive that it will come further up again. The jumping around at the beginning is quite normal. You know what else happened now that my inner pages are up in the search results? My traffic has increased – from between 500-600 views a day to most days between 900-1000. So – all is green in my books, so to speak! This stuff really works. You build a niche site with a few relevant pages, create some good content on those pages, – it really pays off to put effort into making the site a site that your visitors will enjoy and benefit from! – and start building links to it. I’m chuffed! Petra is great to see that you are back on the horse. I have been in the same situation as you. For months i did not do nothing to my websites. Regarding the topic of discussion, the way how you have chosen to build your backlinks proved to be extremely effective. Link building requires a lot of patience and time. It’s definitely good to start it right than getting penalized for not doing it right the first time. Hi Petra, It’s nice to see you posting again. Thanks for the backlink info. and the results on your website. It has given me the shove I needed. You’re inspiring me to get organised too, I never have enough time. Just to clarify, are you talking about internal links with the Backlink Builder? Art, I am talking about “inbound” links with the Backlink Builder – Links that are pointing to your site from other sites. Not internal linking, which is when pages of your site point to other pages, or posts to other posts, all on your own site. I read first time your post and i found great information from your post now i look forward to read your more posts. Keep posting! Excellent overview of the tool Petra, though I’m just wondering with what specific methods were used in acquiring links? Nice post Petra. It looks like you have had some great success with this software. I have seen a lot of these types of software out there. It would helpful to know what keyword phrases you are ranking up for as a result of using this software. Some keyword phrases obviously aren’t that hard to rank up for. You talked me into subscribing. We’ll see how it works. Thanks for the chart idea. Profile backlinks provide very little value. I’ve concluded that blog commenting provide the highest quality backlinks. Nathalie recently posted…Eczema is NOT contagious! Stop being scared of it! What type of links are that high PR links that offer? can you tell 1 or 2 to see them? Thanks for the Backlink Builder tip. I hadn’t seen that site before. It looks quite useful! Seems you did a great job if really have such improvement in several keywords positions. Those results are quite impressive indeed…For such a jump in a couple of weeks how many extra backlinks did you add during the period? Could you share this too? Nice share. I actually intended to order from Angela when I first heard about her service but wasn’t sure if profile backlinking can do my site any good. Hearing about your results really encouraged me to try out this link building method. Thanks for sharing your experience. I would like to say that you blog google position jump is incredibile. And you talk about putting on this not so much effort. I thinking seriuosly about giving a try to banklink builder;it’s seems to work pefectly. This are some nice visitor count numbers. Thanks for sharing the info on getting the inner pages up in the SERPs. I’ve always thought that backlinking is so important in increasing traffic into your website. And you are another one who has proved me right. Thank you so much for sharing. And you can hire someone to do the work for you. This way, you will have time for blogging. And we will learn from you. Me too in same situation over it, i also need more back link for my homepage for web design blackpool. Sounds like a really great program. There’s no question in my mind that using good quality original content on your niche sites and combining them with a good backlink campaign is what it takes to rank high in the search engines. Since the now infamous “Panda Update” from Google I actually find it easier to rank my own sites than it used to be. Keep up the great work! Consistency is extremely important in this business! Good for you! This method is really so amazing. Thanks for sharing! Nice job. Thanks a lot. It mean that if we link our site to inner pages we can get instant ranking. Not necessarily, but internal linking is very, very important also. Interlink your sites, guys!!! Yeah, I also use Backlink Builder with great success. It just works. Of course, it is a huge pain to through all these steps, it is so boring… That’s why I am going to outsource that. Kim, it really is a pain to do it all yourself, but it surely works.. outsourcing is a good idea, but at this stage I am still laboring away by myself..
Those are some very interesting tips you are providing. Many people experience a sort of blockade when they try and build backlinks… what you’ve written here sure is good enough to get many people started. I actually have a blog of my own and I’ve covered the topic of backlinks already in this post, especially which backlinks are more valuable. Maybe if you have the time you could check it out and leave some feedback? Hi David, I just headed over to your blog and checked out your post, fantastic! You have hit the nail on the head with your article. Thanks for sharing! BTW, I tried to leave a comment but I just got an error code when I submitted it, saying I have to type in the password? You should check that out. Ta! I just subscribed me as well. I hope I can take such an advantage as you did. But for 5 dollars a month you cannot do anything wrong, I think. This is a great Testimonial and i love the idea of writing down the posted backlinks. I´ll give it a try. Thanks for sharing. I just read the article where the author said that there is a rule that content writing should be 20% of the work and link building 80%. Amazing if it’s true. I don’t know about the 80-20 rule, but writing good and original content is very important, and so is good and constant link building. So what are the best backlink sources nowadays? I’m a bit confused since the google panda update. I’ve been hearing so much different things that I’m not sure what to believe. Anita, in my honest opinion the best way to tackle seo on your blog is to keep updating the blog with good content, make sure you got your keywords right, and just keep building links like always. Angela’s Backlinks are a great way to enhance your link building, but you should definitely also continue being active socially – Google puts more and more value on how “popular” your site is, meaning how much “buzz” is going around about it – and leaving your signature in forums, on blogs, etc. Make sure you share your content a lot, and try to get people to share it, too. Agree – it’s just great when you start to see results! I think the key is to stay focussed and set aside 15-20 mins a day to link acquisition and watch the results roll in. Granted, I don’t have a whole lot of spare time to blog, much less to market my blog, but if this stuff works as well as you say it does it might just be worth looking into. Is there anything else you can tell me about this system from a user’s perspective (as opposed to the product literature)? The sites to get backlinks are real quality sites?. I always had the impression that gave you abandoned blogs or forums the get spammed reallly fast. Really impressive! Never thought the rank could jump so fast! Those are some incredible results. Great job, and congratulations that you have done well in just short span. If you want to get more backlinks and linkjuice, you must comment on dofollow blog plus that blog must be relevant or niche blogs. So true, backlinks make or break a site. Getting high quality backlinks means that you don’t even need many to be able to rank well on Google. I always try to avoid any linking that leads to PR1 or below. Always go for quality. Thank you for sharing this information! This will indeed be very much of help and useful to all the bloggers out there who would want to create back links. really learned something from this! Great job Petra Weiss..congratulations for achieving the good positions on Google. Even, I was also looking for the same thing but presently, I am using someone’s service. And he is doing his best job. I don’t have time either, nice post 😉 Good Luck! Hi Petra. I have also just recently learned the importance of backlinking. I enjoyed your post especially what you said about how you traffic increased and as a result so did your affiliate sales. Have seen this site, it is about the same method of bulding traffic because of better ranking. Have a look and see if it might be for you also. This looks to be a very effective way to build backlinks and push up your site in Google search results. Many thanks for sharing! Oh, and the tables helped a lot! Wow, that’s an amazing jump in just a week or two. I’ll definitely have to check these backlinks out. Great article.I also like your article.I think it is a informative blog.Now I learn in this blog, why we increase our traffic for our website.Thanks for your article. this is amazing.. I think I need to do just the same thing you did ..to have all the benefits I could get..
Nice Post!i really love it i can relate to my past, i actually share this to my friend and there using back link too.Thank you for sharing this informative thoughts. wow!! it is amazing!!! I never thought those link builder programs actually work!! Nice post. Traffic is very important, obviously, and many people don’t realize how easy it is to acquire it with a bit of keyword research, proper site structure, and backlinks! Petra, I’m really impressed with this site. I’ve been reading several of your blog posts learning more and more. I have a few questions. I recognize that back linking is important, but I am pretty new at it. 1) if I post and use the “name @ keyword” and the blog is not a “commentluv” type of blog, is that doing anything for my site? or are search engines actually seeing the whole “Kevin” instead of “managing email”? If this is the case, is it better to just type “managing email” or will it run the risk of being deleted by the blog owner? Does you get much link juice from a “Kevin” that is linked back to my site as opposed to a “managing emails” keyword? 2) on commentluv sites, are you supposed to put spaces between your name, the @ symbol, and the keyword or run it all together? 3) If I post a comment and the blog owner declines to approve it, is it appropriate to ask why? Most of the time I really want to leave a valuable comment and yes, I include my link, but not to “spam”, just because it’s good for my site. But I usually don’t post unless I have something important to say. 4) If I post a comment and the blog owner never approves/declines it, what happens to it? Is it just sitting there in limbo? Hi Kevin, its been over 9 months and only now I have found your comment. I am so so sorry – it was not my intention to let you wait that long. I had fallen off the bloggosphere for quite a while. Even though you have probably gotten answers to your questions by now, I would still like to answer them for you and the benefit of all my readers. 1) and 2) – The creator of the KeywordLuv Plugin, Stephen Cronin, has written a fairly explanatory post about it here: KeywordLuv. You will find all your answers there. 3) I think you always have a right to ask why a comment is not approved. It’s only fair! 4) It depends what the blog owner does with it, really. Take your comment as an example (;-( sorry again!). I did nothing with it for the whole 9 months so it was sitting there in limbo. I had the option now to spam it, trash it or approve it. Anything I put into spam I eventually delete (by “emptying spam”), and really, trash I do the same. I think (correct me if I’m wrong) the difference between spam and trash is that once you spammed a comment, any comment that will come from the same address in the future will automatically go into spam the next time. Deleted comments are just gone. Kevin, I hope this has answered all your questions, and once again, I am terribly sorry about the super late reply. Hi Petra and congratulation! You made a right choice when you have started building important backlinks to your pages because it had an effective outcome. You jumped into good positions as well as your affiliate earnings have increased. It clearly shows that having good backlinks result to increase your traffic. That’s a big of help for the others who do the same like you. I’ve heard of this before and never used it. But having seen actual stats (rather than just a long ad) I think more people will be inclined to take a look. Personally, I prefer a more organic approach to link building though through guest posting and link baiting etc. Very well said!yes Albert this blog id very informative,we all know that we learn something for today we are very glad to that but this post for me it’s making keep motivated in doing my work everyday.thanks for sharing. Nice to read of the actual results you obtained. Great job! I too have been slacking when it comes to my sites, and learning of Backlink Builder may get my rear in gear. And I’ve learnt some amazing stuff already. I’m going to keep a close eye on this. Petra, backlink with good anchor text will definitely give more benefit to blog or post. Thanks for sharing. That’s really effective and Good SEO strategy, optimizing not only the homepage or a single keyword, but also the internal pages using your other keywords will definitely boost your traffic on search engines. By the way is your affiliate marketing website is clickbank? or CJ? Vins, I am monetizing my main affiliate site through ebay, Amazon, Shareasale, Art.com, and a few others. Links seem to be important factor in rankings. I wonder how well those rankings are sticking in the long run. Would really like to see updates on those keywords later on. Great post, Petra. Lots of new insight to work on for me. Link building is really one of the important parts of getting the ranking. You’re right, link building is really important. Getting backlinks are very crucial, thanks for the insights! Affordable Car Insurance Quotes recently posted…Hello world! Hi Petra! So if you already made a blog on your niche site, the next thing you will do is to make backlinks on it? Approximately how many site do I have to enter to have a good result on my backlinking. After I post my blog, do I have to backlink it instantly? You create a blog, start posting, and at the same time start building backlinks to your posts. If you have pages, start linking back to your page. There is no time limit or anything. There is also no “number” as to how many backlinks you have to have to rank well. It depends on your niche and keywords and the saturation of your niche. Wow, thanks very much, Petra! I haven’t started building links to anything but my home page yet — I’m new at this game and have a lot to learn, but your strategy makes sense. I hope all your keywords are still ranking well. Hi Petra, I think Link building will need a lots of time and patience..Thanks for sharing a such informative and very helpful blog post here..Hope we can hear more from you in future.. I have had very good luck in the past by building at least one backlink to every new page on a new website. I find that before long, all of the pages start ranking pretty darn well from the combined internal link power the builds from doing that over time. It takes a little bit of effort, but I think that the effort is well worth it when it is all said and done. Building backlinks to pages other than the home page is like compound interest for your investments. It keeps giving more income as time passes. Many websites concentrate too much on the home page, when the real juice is coming from the other keywords throughout the content pages. Nice comparison, Peter! See, if you only concentrate on your main page, you will mainly get traffic from people looking for that keyword. But if you have more pages which are focused on different keywords, and you start backlinking to them, you will get a lot of increased traffic from those other keywords, too! I agree with you Ms. Weiss. It doesn’t count, no matter how many links you build what matters most is the quality of the links. Its more on quality than quantity. We make sure that its high PR sites. For two years I’ve been plodding away at building niche sites and never really grasped just how important backlinking is. I did do it, and I did a fair bit of it but it was unfocussed and inconsistent… and obviously not enough! One can lose the sight of the goal a little over time when doing tedious tasks like backlink building. But it has to be done, and it will all pay off in the end! Hi Petra!Thanks for adding me in your post. !Its nice to visit your site again. Great tips! Backlinks really a great factor to get a high PR.. It is very encouraging when you see results like this. Building backlinks is tiring and most people give up they don’t see results asap! It’s a gradual process and seeing these results are encouraging! Barry Wheeler recently posted…Why Would You Use PLR Content? Link building is really a very important aspect for ranking in the search engine apart from the onpage. If a person can build quality backlinks to the page he is targeting he can easily outrank any of his competitors. Backlinks is the key to success in ranking. It is so difficult and time consuming so I guess using some kind of software system would be a good way to go. What s the cost for Backlink Builder? Prosfores recently posted…Groupon | €60 από €120 για Τρείς Διανυκτερεύσεις Δύο Ατόμων στον Ξενώνα Κατσιμπέρη στο Νεοχώρι Πηλίου. It is $5 a month. That’s some impressive progress you’ve made. I did hear about backlinking to internal pages, but i never thought it would alter the results that much. It almost doubled your traffic! I guess i should also try it out soon. Lynn, absolutely! If you have more than one page or blog post, you should try to get visitors to all of them by optimizing them for other keywords, and building links to them. Really can do wonders for your traffic! Just wanted to say that your article was very inspirational and motivating. It’s always great to see results like this! You are thinking well of using those services to build you backlinks, because higher traffic almost always means more sales. Just a few questions. How many links do you do a day? Do you have more then on link per place (profile, page, article etc). Alex, I am building maybe 5 links a day. That’s the most I have time for! Also remember, they will not all be approved at the same time. I just don’t want to overdo it. One of my best linking strategies is also still to contact other website owners in the same or similar niches and simply do a link exchange. I monetize this blog with Google Adsense and a few links to products that I fully support and recommend, like WordPress Classroom. Thanks for the useful post Petra! I am looking information for niche blogs and got this back link building guide for niche blogs thanks for the same. Looks like a very useful tool. Thanks for sharing, Petra. Robin recently posted…Thinking of bringing an Asian Arowana home? Yes i agree link building is really important for ranking, Seriously i saw this before but i never used it. I cannot realize that this thing is very useful, Thanks for sharing this information..
Link building.. it is part of seo and I am on the process of learning it. Thanks to you. Link building can definitely be tedious. You have me curious about this tool. Thanks for the post and information Petra. I agree backlink building is essential to rank highly with Google. I have found Angela’s backlinks service and package to be money well spent. Building links has enabled me to get to page 1 of Google. I don’t quite understand Angela. I am right now on a backlink building misson, so “backlink builder” might just be the solution, but is it an organic way of creating backlinks? Can we decide/know where do the links get posted or is it random? I guess I’ll have to try it out myself. Good article nonetheless. Thanks. ken recently posted…Six Pack Abs Pitfalls: What Went Wrong? You decide where the links get posted, because you are the one doing them. Backlinks are definitely important for a website. I didn’t know that building niche could be improved with backlinks. Maybe I should try to subscribe so that I could learn more. Congratulations in your improved result of backlinks. I was just taught how to do link building and it really is a very interesting process, one that will probably take time to get quick at. From what i understand of it, IT IS a VERY important part in gaining page rank. Of course, the no follow and follow links are necessary but hopefully i can succeed in finding follow links! Great post.Backlinks can play a big role in business…..Thanks so much..
Backlinks will always have more relevance if they come from a related niche, but if they are from a site that is not in your niche they still count! No, the backlink builder does links from external sites to your website. But you can link to your pages with that, too. But not internal, purely external. No, I am talking about external links, links from another site to yours. First I like to congratulate you for amazing result of your website ranking you got, and thanks to give suggestion of this kind of back link builder but I think it is better to generate back link manually rather than using back link software or other tools. What a huge Boost since you used Backlink Builder….Can you give me the names of your websites. I’d like to see the contents. Wow, that is really impressive work you have done with your sites ! When you use Backlink Builder, where do the backlinks come from ? Social Media, blogcomments etc ??? 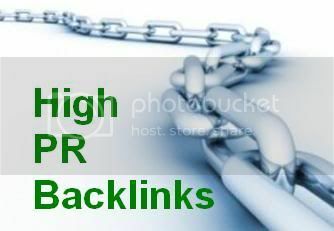 The backlinks will mainly come from high PR forums. You sign up and put your signature up with a backlink to your site. How many backlinks do you think one should build a week, not to overdo it? There is no real number, just try and keep it looking natural. I think if you build a few links a day (like 3 or 4) it’s not looking too spammy. I have learner the hard way that links are the most important thing to spend your time on. great post and thank you for it. I am 100% with you about backlinks and i can tell same thing happened to me as well. Also i have review the onsite SEO every month in order to make sure the content is up to date and i will not lose the main KW’s. Thank you very much for the information. There are many ways you can make money on the internet, but it is not easy. The results were amazing. Approximately how much time needs to be invested to see gains like you did? I run my website by myself, and time is scarce. It took me 3-4 weeks to start seeing results. Nice strategy..A lot of help specially like me,one of a newbies here.Thanks a lot. Fara recently posted…Athletes Foot Symptoms – How To Deal With Them? I think backlinking is an amazing idea that brings up the rankings of a website or to drive more traffic to a website. I am a link builder and I did a backlinking campaign for my client who found that he got amazing results. Thank you for the detailed statistics. Link building seems to be my worst skill. Over the years I have become a better business man and graphic designer, but SEO is still so very challenging. Do reciprocal links even work anymore??? I just don’t have time for SEO…. I am sure that reciprocal links still “work”. If you exchange links with sites in the same or similar niche, they will definitely help with your SEO. Good post Petra, link building is very important for SEO and you have to know how to get good backlinks and not link garbage. Hey petra.. very cool info…. have u ever heard of tribe pro for back links? Here is my cleverly disguised link! http://drvinnycalderon.com/TribePro hahha… no really It is a lot in the affiliate marketing and mlm industries.. but it is capable of getting like 2000 likes in 10 mins.. its a little ridiculous and the nutty part is its free.. I don’t work for them don’t worry good post though really. nice alexa rank too! Thanks, I will check it out! And sorry about the half year delay in approving your post!!! Well, I think you made a right choice when you have started building important backlinks to your pages because it had an effective outcome. You jumped into good positions as well as your affiliate earnings have increased. It clearly shows that having good backlinks result to increase your traffic. The information about backlinking is very informative. The post gives the clear graphical picture about how to develop a business and how to increase the network traffic. Thanks for your time for providing us the detailed information for business development. Link building can take forever to finish. But with patience, everybody can get there. Thank you for sharing you experience including tips and some advice on how to build links! gracia19 recently posted…How To Lose 5 Pounds In 1 Week – Quick And Healthy? Your backlink strategy looks very effective and has the ability to progress more and more. I think I will try doing what you are doing right now and see some result for my own niche site. I made a point of writing down which anchor text I used on which site, and which page on my site I linked back to. For that I designed a very simple table which I fill out as I go along (otherwise you lose track). Hi Petra! Nice to see some post like this. I have a hard time doing some back linking. I know that it is important and really useful. That’s why I’m learning so hard about it. That is exactly what I decided to do the other day. It shows that my site has pretty good rankings and PR, but if I actually get some links not only on my home page but to the others, my performance will definitely skyrocket. Good SEO tips. I will go for the same technique with my blog.I am very hopeful I will get the same results. Anna recently posted…that I wish I was a cosmetic dentist! Great post! A complete link profile for a website that encourages child pages as well as the homepage is a great way to “trap” crawlers and visitors on your website. They might take a link to a child page pertaining to Social Media Marketing, and with proper internal structure, might find themselves interested in social bookmarking or organic SEO while reading relevant pages on your website! Although it takes some time to complete, it definitely pays off. Sign up for blogs related to major newspapers, such as LA Times, and Reuters. Even if some of the news websites are nofollow, the link is still valuable. Its a great post such a informative article i appreciated that effort keep it up and always go for quality. The technique looks promising. Thanks Petra. I might give it a try in one of my web site. This technique of back linking which you suggested sounds interesting. Even i haven’t got many visitors over my site for quite some time now. This article of yours is quite knowledgeable and helpful to newbie’s. Getting backlinks is becoming more difficult than ever, one very effective technique of building links is to identify linkbuilding opprtunities on content based websites. This could be posts on blogs, wiki’s, listings, ads etc. The more diverse, and spread out your links are, the better the ranking. its hard to find good PR backlinks, essential though if you want to get anywhere with SEO. packages. The results are quite unbelievable. I never really understood how backlinking works. I used to think that it is only internal backlinking that can give you results. Your detailed explanation clears the fog in my mind. John T. recently posted…Propiedades del alpiste. Wow, I’m surprised it changed so dramatically in such a short amount of time. I’ve noticed my rankings jump around a lot every time I get more backlinks so takes an anxious long time to know if it helped or hurt. Are there any other backlink services your recommend? Hi Horacio, you are lucky that I reply to your post so late (I had not logged in into my blog for quite a few months, really!) – I have just discovered another backlinking service that I quite like – it’s called “Social Monkee” you should check it out. Also, I don’t know whether you have seen it, but one of the most reliable services I use to get my blogs out in the directories is Directory Maximizer – you can find a link in the sidebar of my blog. Brilliant! What a difference that made to your rankings. Let’s see if I can get this to work for me. My schedule will be evenings though, when the little people are asleep! Thanks for the very interesting article. Even as we approach 2012, there are still no cornerstones to IM – great content with links pointing to it. Glad to see both of these working for you! This is a nice post form you again, nice work! I has known for a long time that backlink into inner page helps, but I wouldn’t imagine its effect is this huge. Now I’m going to do this for my site. Thanks. Nice case study. Being organized with a strong plan always gives best results. I do this whenever I create niche websites. Create, organized and implement the plan and it always gives success. It was nice to see the actual results of your efforts. Thanks for the great tips! If you want to get more backlinks and linkjuice, you must comment on dofollow blog plus that blog must be relevant or niche blogs, thanks for the post, keep up the good work. Hmm I don’t agree with you. I am still using them every day and still see positive effects from them. It helps in ranking my pages in google. Targeting high PR sites to connect with that is relevant to your niche and targeted market is great way to have quality backlinks. SEO is a tough job but doing it naturally could provide long term effect. Hello Petra, it’s Good to see that You managed your position again after having a tough up situations. Currently I am going through the same situation for my blogs. and Honestly .. it is much frustrating situation for me to tackle through this! Excellent, Thanks for the sharing. What a difference that made to your rankings. Let’s see if I can get this to work for me. My schedule will be evenings though, when the little people are asleep! Thanks for the very interesting article. Keep up good work. I think I’ll give this “Backlink Builder” a go. I’ll return with a feedback. Dragos recently posted…Freelance Web Designer or Web Design Company? Very interesting case study. Good and original content plus constant strong links from both nofollow and dofollow relevant sites still remain the cornerstones of the best SEO practice. Wow.. that is definitely some strong results! May just have to look into this method. Thanks for sharing! Building backlinks is a funny thing because although we all need them, the search engines don’t want us to ‘build’ them because that could be seen as ‘manipulation’… the whole thing is just super confusing to me! From a long time, I have been trying to get more traffic to my site. However, my efforts were not very successful but now after going through this post I realize that I must also use Backlink Builder to augment the traffic on my site. Thanks much for the information. Way to go. That’s amazing how much of a difference it makes.